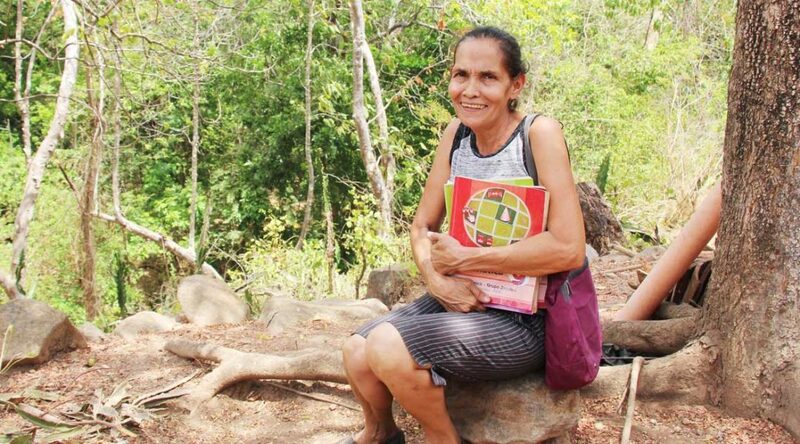 Thanks to her sponsor, Nancy from Georgia, Cristina has access to regular benefits through Unbound, like nutrition items or medicine, and a supportive community of her peers. But growing up, Cristina’s family didn’t have the economic resources to keep her in school. Cristina got married at the age of 20 to her husband, Epifanio, whose family also struggled with poverty, and they had 11 children together. 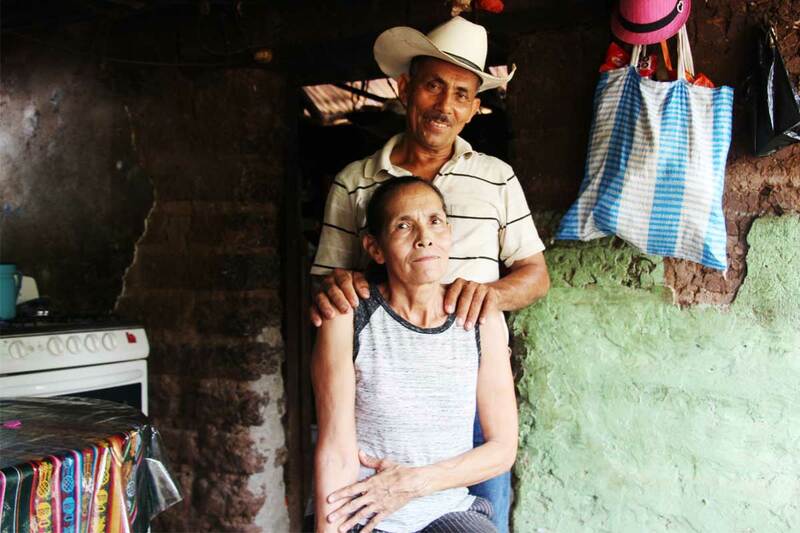 Throughout their marriage, she shared with Epifanio her regret of not completing her studies. Then one day, Cristina got the chance she had been waiting for. The very next day, at the age of 59, she enrolled. Cristina with her schoolbooks and bag, ready for her classes. 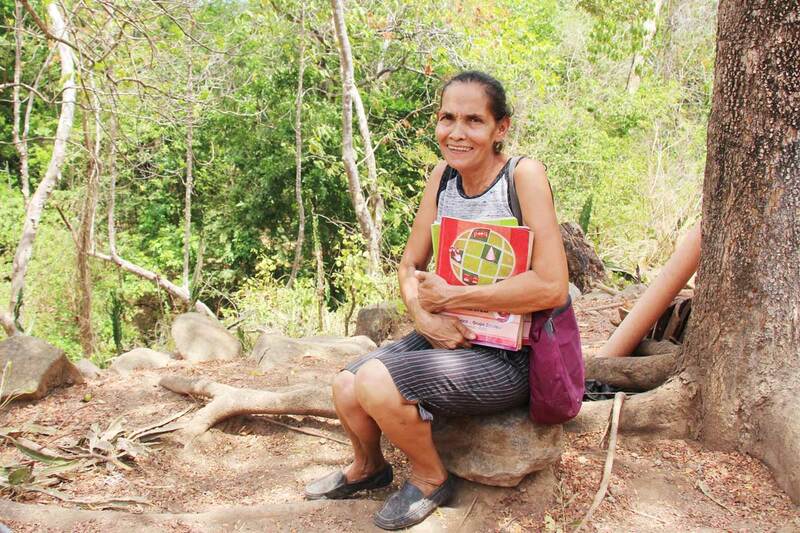 Cristina’s dream was to complete her primary school studies, which she recently accomplished. She is currently in her final year of middle school. And though she’s had difficulties with certain subjects, especially math, Cristina looks forward to starting high school. She also looks forward to the possibility of going to college one day. As much as Cristina looked forward to starting school again, it wasn’t easy at first. There are 58 students in her class, and most of them are younger than she is. And despite her initial nervousness and occasional difficulties with math, Cristina has excelled. She has been the valedictorian of her class for the past three years. “Education is fundamental,” Cristina said. “It is basic for the person and it is essential for him or her to move forward in life. Education is the key to your future; without it you don´t have much access to opportunities.